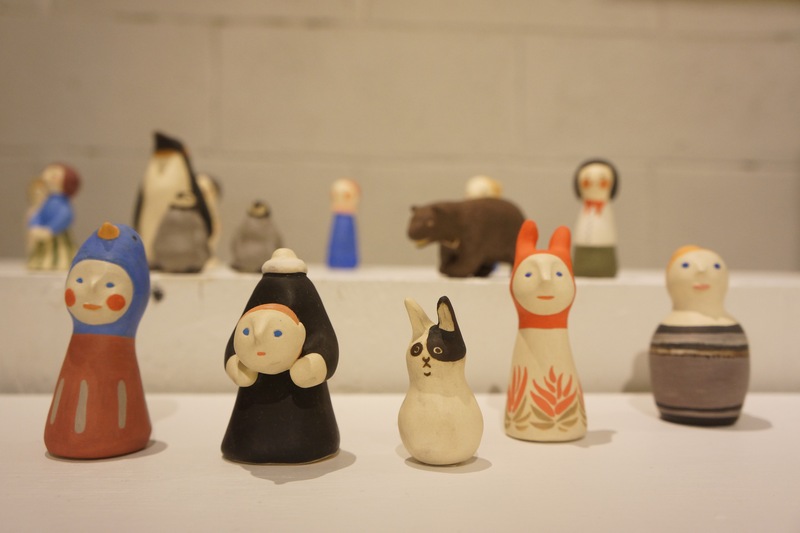 A new exhibition, “The World of Kyoko Imazu” is finally opened today at AG Gallery. Kyoko Imazu is a Japanese contemporary printmaking artist based in Australia. Her work has been shown in various galleries in solo and group exhibitions including countries Hong Kong, New Zealand, and Australia. In 2014 she received the Australian Print Workshop Dowd Foundation Scholarship. AG Gallery has been show casing some of her prints for past two years, and this exhibition is her first solo exhibition in NYC, and you will be welcomed with her latest printmaking and ceramic sculptures. Please visit AG Gallery and to view her world, it is quiet, yet with full of stories. 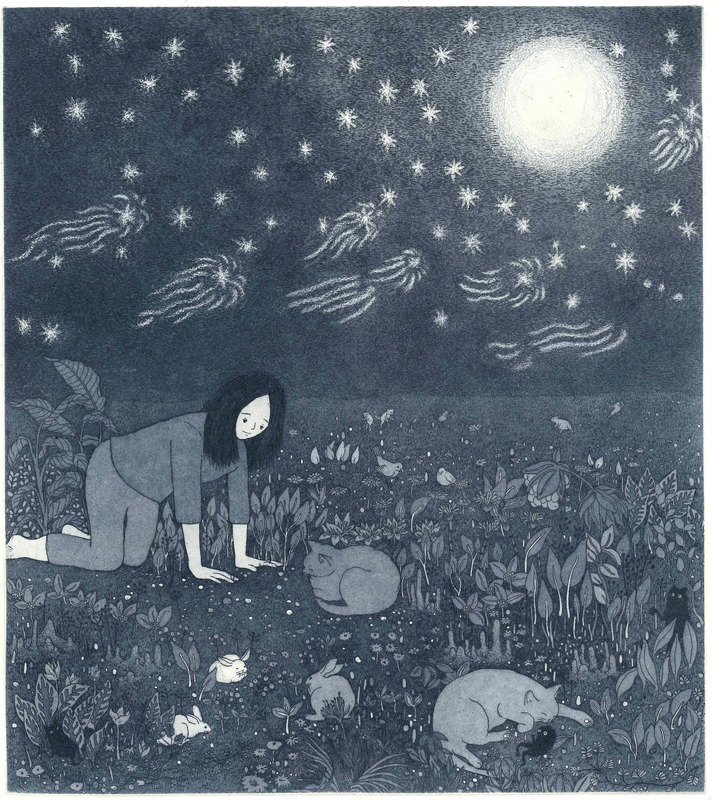 Many animals and creatures appear in her printmaking. Every character is depicted realistic and in detail, yet somewhat oddly. 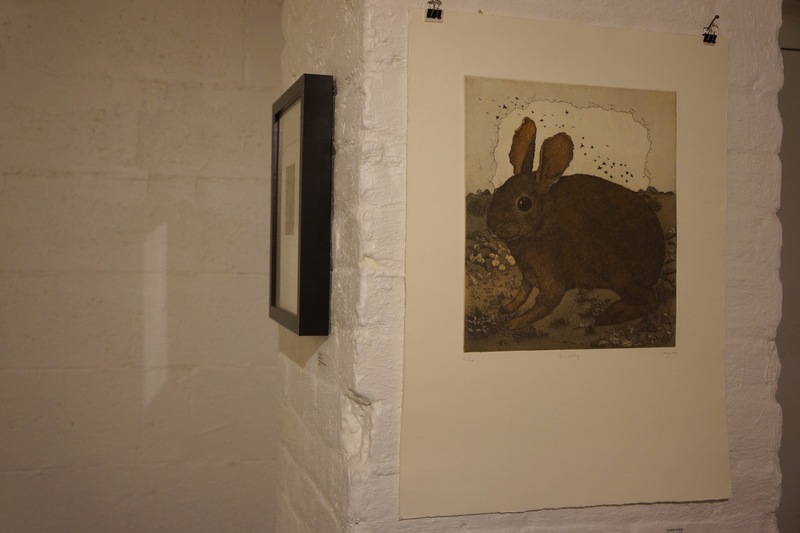 When you visit, please take a close look at each original prints, there are many surprises await you. Each work is original, hand printed in limited small editions, made with traditional printmaking method of etching and aquatint.